The Organizing Committee would once again like to thank all our guests and participants for a truly wonderful event! The Conference Book is made available. The Video Report is made available. The Organizing Committee is grateful to our guest speakers for attending and contributing to the Conference. The Organizing Committee would especially like to thank our Conference Financial Partners. All Conference presentations are made available to the Conference participants. It would be very much appreciated if you would take a little time to fill in the Evaluation Form and let us know of your thoughts and comments on the Conference. The Conference image Gallery is now available. If you have recognized the value and significance of this event, and you would like to see the Intranslaw concept continued in the future, please get in touch with us. Browse through the available press clippings with regard the Conference. A final "thank you" note goes to our Institutional Partners. The INTRANSLAW Zagreb 2015 Infographic. 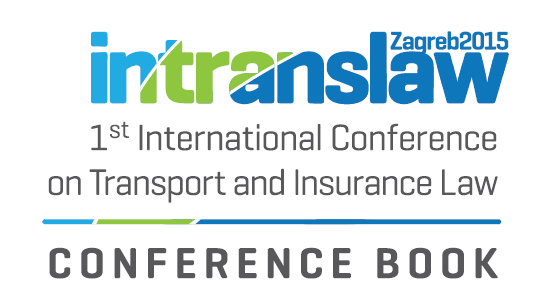 The Faculty of Law in Zagreb and the Croatian Academy of Legal Sciences have organized the 1st International Transport and Insurance Law Conference – INTRANSLAW Zagreb 2015 that was held in Zagreb from the 15th till the 16th of October 2015. 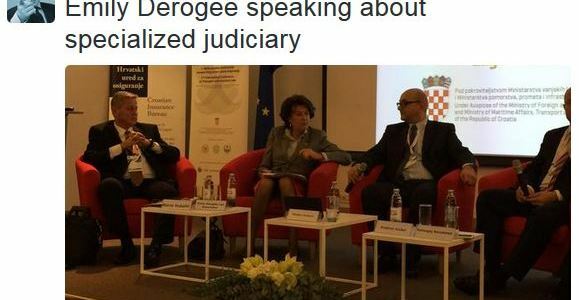 A forum for an academic and professional discussion on the theme of the EU Transport Law and numerous topical issues related to this wide, complex and dynamic legal field was opened, particularly considering the recent Croatia’s EU membership and the necessary harmonization of the local law with the legal regime of the EU. We thank all the participants for joining us at the first large gathering of transport law science and profession at the conference INTRANSLAW Zagreb 2015! International Transport & Insurance Law Conference. Copyright © 2011 Cosmo Themes. All rights reserved.